It’s no secret for Sheffield’s sushi lovers that Sakushi on Campo Lane is among the best spots in the city to enjoy great, authentic Japanese food. 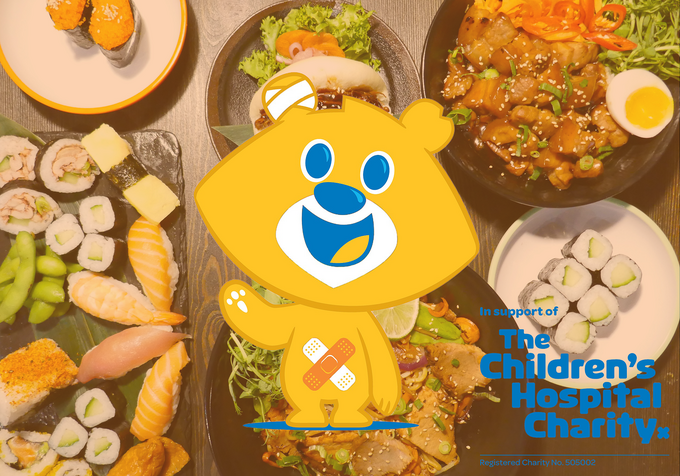 On Wednesday 12 December the city centre restaurant will be raising the bar as it raises money for Sheffield Children’s Hospital charity. Book your table from 5pm to enjoy all you can eat sushi off the belt, unlimited chicken curry and chicken teriyaki and unlimited gyozas (chicken or vegetable). With vegan and vegetarian options also available, this is a foodie night not to miss. Not sure what to order? See our handy introduction to Japanese cuisine here. From your £19.95, £5 will go directly to ward 4 at Sheffield Children’s Hospital – Sakushi staff will also be donating 100% of their tips to the children’s charity. Ward 4 is a busy 20-bed medical ward for children aged 0-16 to receive care for a wide variety of chronic medical conditions. It has recently relocated, and in the move has lost a number of fantastic facilities – of which vital funds are needed to re-establish so that its young patients can continue to receive outstanding care. This is bound to be a popular event for such a worthy cause, so we recommend booking ahead! You can do so by calling 0114 273 7399. For full terms and conditions surrounding the charity evening, click here.